If you’re looking for a game that helps you pass time waiting in line or for the bus then this is the game for you. 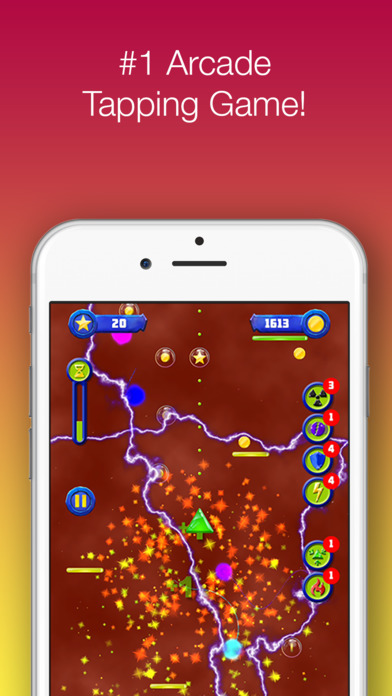 Colorful with catchy background music, Tap and Smash is sure to hook you from the moment you download it. It contains a multitude of opportunities to get farther in the game while still making the game challenging enough so that you don’t get bored. Best of all you get the choice to pay for things such as more power-ups or a version that doesn’t display ads, and choosing not to pay won’t ruin your game experience. Kids and adults will love this game because the concept is easy. Simply tap the screen to move the little green triangle further up the screen. As you go up collect the stars; the bubble they are trapped in will burst when you hit them. 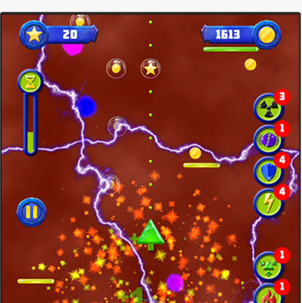 You can also collect coins that can be used for power-ups before you start your game. Finally, you can collect letters. When you collect all of the letters to spell out SPIN, a wheel will be spun and you’ll be given a free power-up as you are playing. Another great feature of this game is that it plays like an old retro arcade game. If you’re familiar with hitting that coin-sized button to make Mario jump then you’ll see how this game feels like something you’d find in an old-school arcade. All you have to do is tap; it’s as if they took a arcade machine and make it for the iPhone and iPad. The background music also has that retro club vibe, so you have some easy listening while you play. It is also great that this game keeps track of your progress. During gameplay there are multiple lines made of dashes that appear to show the farthest you’ve gone in the game. Passing these lines, which have a numerial order based on your highest to lowest score, gives you a sense of accomplishment and pushes you to go even father. When you do hit an object and the game stops it only fuels you to play again and again in order to beat your top score. There are also plenty of opportunities to earn coins. Coins help you progress more quickly in the game, giving you a boost when you’re close to beating your old record and want to keep going. There’s sharing on social media sites, rating the game, and spinning a wheel. The wheel gives you a free spin every two hours, giving you more chances to obtain free coins. Though if you don’t want to wait coins are available for purchase in the shop. The only downside is that the game can be a bit glitchy at times. As I was playing there were times when it would continue making noises but there would be a bit of lag, which can get frustrating as you get farther up and there are more flying objects to pay attention to. 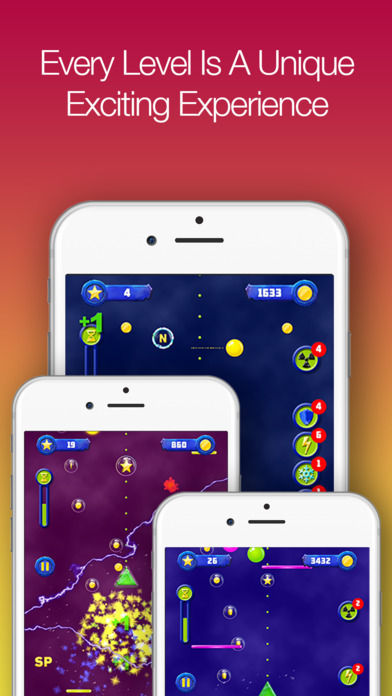 The flying objects are also a big problem if you’re one whose eyes get sore from watching multiple colored objects zoom back and forth, but that’s what makes the game more challenging as you go along.